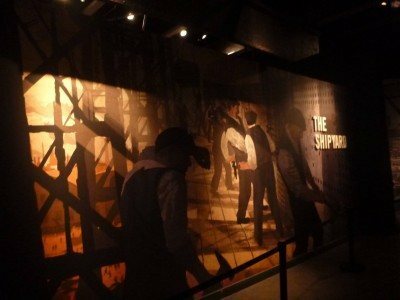 There are so many myths about the ill-fated supership The Titanic over the years, that the only place to get the real story, the truth behind this incredible ship is to return to the place where it was built. The place where it sailed out of for the first time – Belfast City in Northern Ireland. Having spent the best part of 12 years travelling round the world, I’ve often been appalled at cities that try to claim this ship as their own – cities that have a Titanic Museum, especially cities that have nothing to do with the Titanic. I’m talking Melbourne, Devonport, even Riga in Latvia. 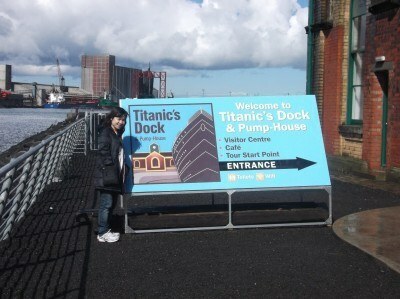 Close your museums down please, I’m backpacking in the real Titanic City – BELFAST, Northern Ireland. 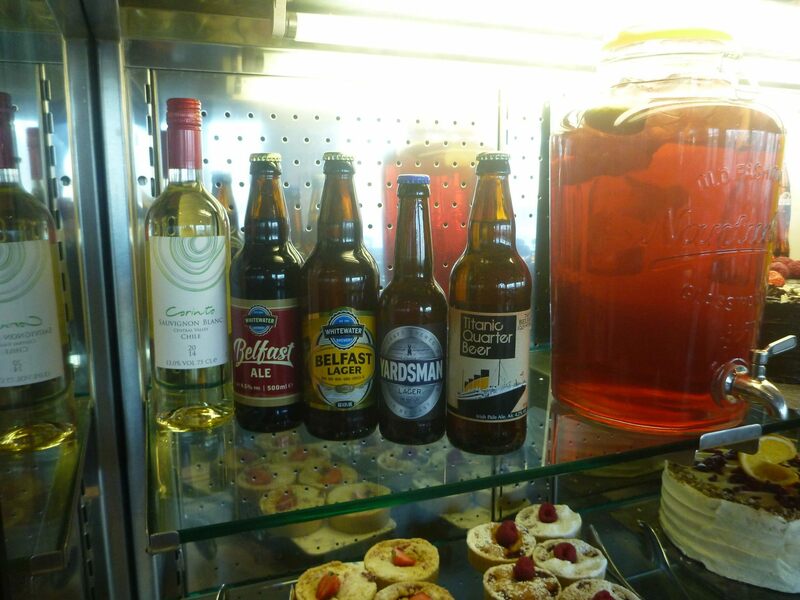 So I made a welcome return to Northern Ireland and its capital city of Belfast. 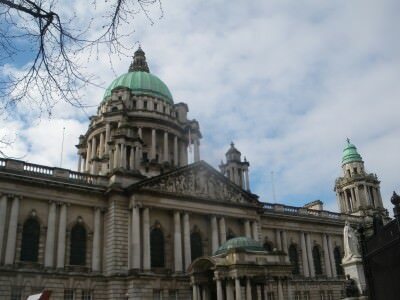 Belfast is a thriving capital, often voted one of the best 10 cities in the world for a tourist, this is the place to be. 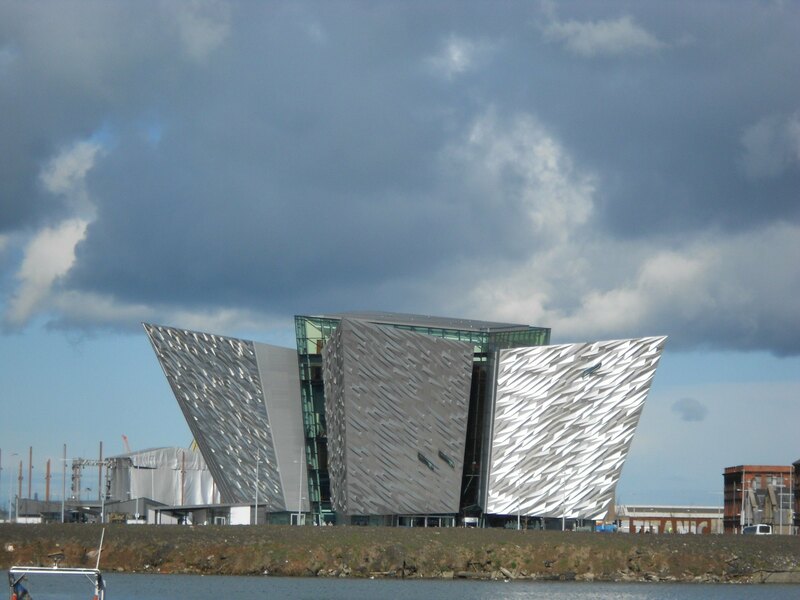 With that raw, hard working, Ulster spirit evident in the Belfast Air, your jaunt to the recently renovated Titanic Quarter will have you in admiration. 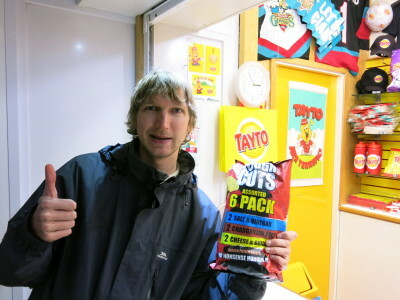 The Northern Irish are a funny lot – they have a sense of humour here. 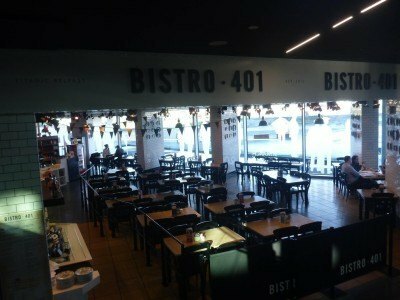 This is a country that names an airport after an alcoholic, creates an entire area dedicated to the sinking of a ship and debates over which of two flags (none of which are their own!) should fly from the City Hall in the capital. The people are having a laugh here, because away from the political issues of this province, life is fun. 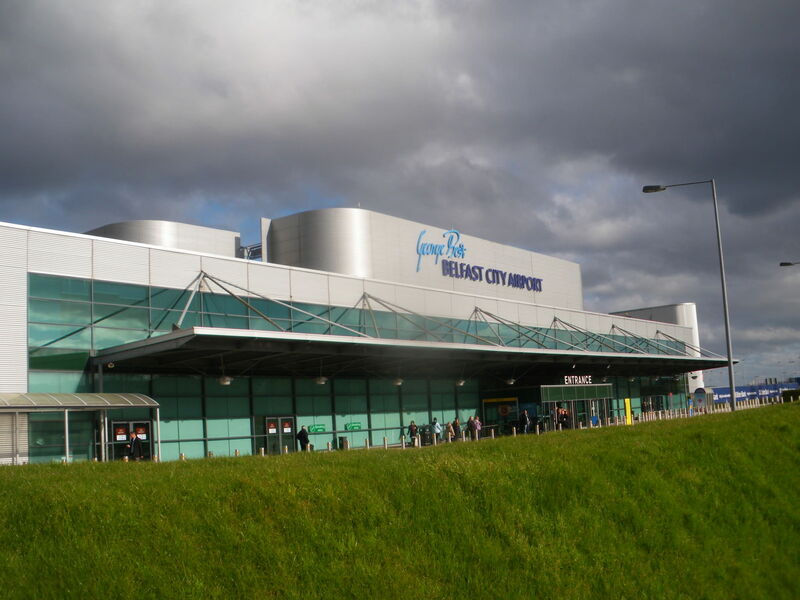 George Best, the genius who has an airport named after him and the Titanic, the ship that sank, are national heroes. Tainted heroes perhaps, but they bring the people together. Belfast is cool as ice at the moment. 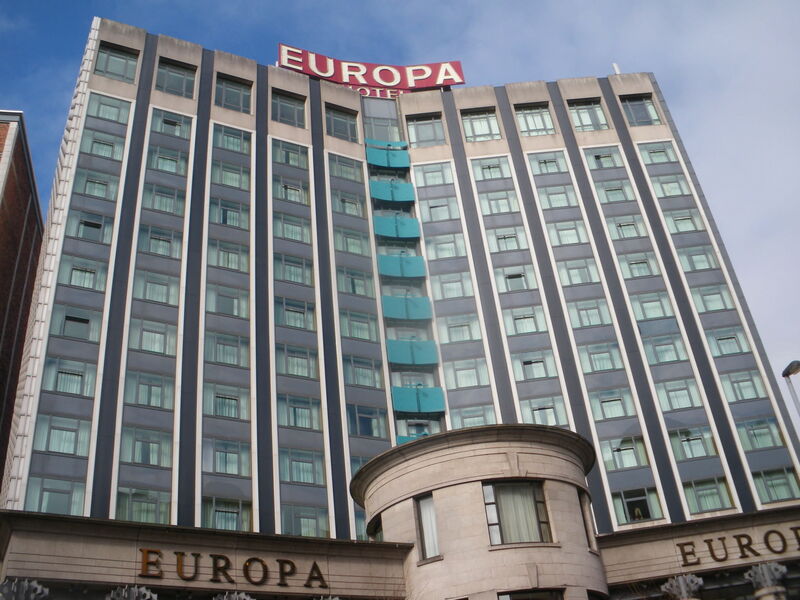 It hosted the MTV Europe music awards a few years back, the national football team just won their Euro 2016 qualifying group, the BBC National Sports Awards are here in December 2015 and the other local heroes such as Carl Frampton, Jonathan Rea and Rory McIlroy are world champions in their respective sports. And you might also want to stay in the Europa Hotel, Bill Clinton stayed here once you know and back in the 1980s it was the most bombed hotel in Europe, and probably the world. 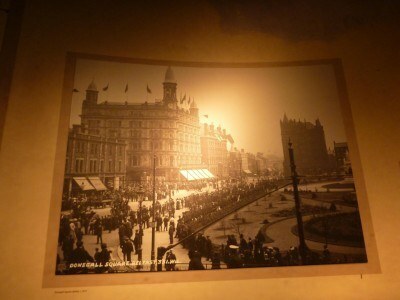 But now, it’s a swanky hotel sitting opposite the legendary Crown Bar on Belfast’s Great Victoria Street. 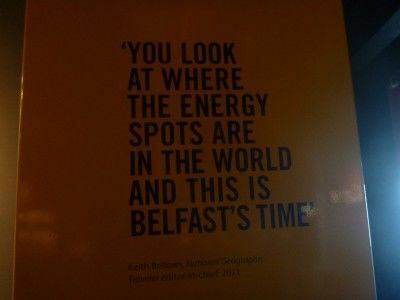 Belfast is the buzz. 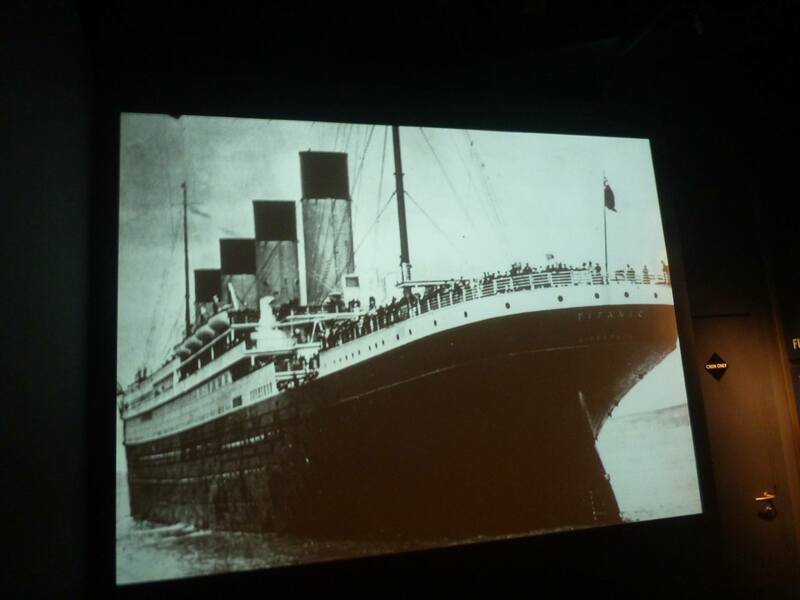 1.The Titanic did NOT sink on its first trip. 2.The Titanic sank on its first trans-Atlantic voyage. 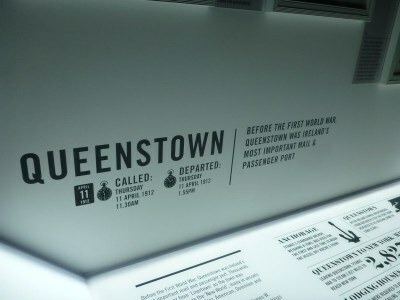 3.The last port that the Titanic left from before it sank was not Belfast, Liverpool or Southampton, it was Queenstown. Queenstown is now called Cobh and is near Cork in the Republic of Ireland. 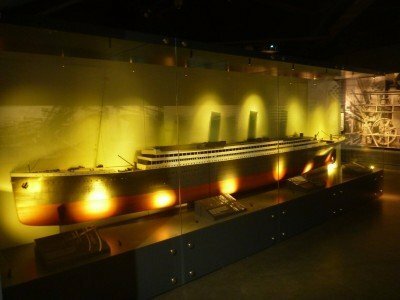 4.Eight workers were killed in the building of the Titanic. 5.The maximum passengers allowed on the vessel was 3,547. 6.There were only 20 lifeboats on the Titanic when she sank. These could hold a maximum of 65 people each. 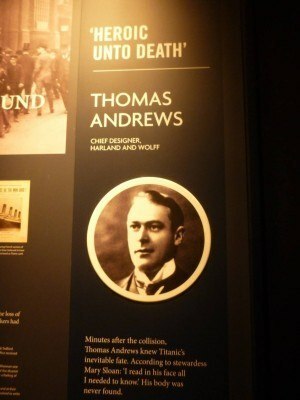 7.The designer of the Titanic, Thomas Andrews died in the ship’s sinking. His body was never found. 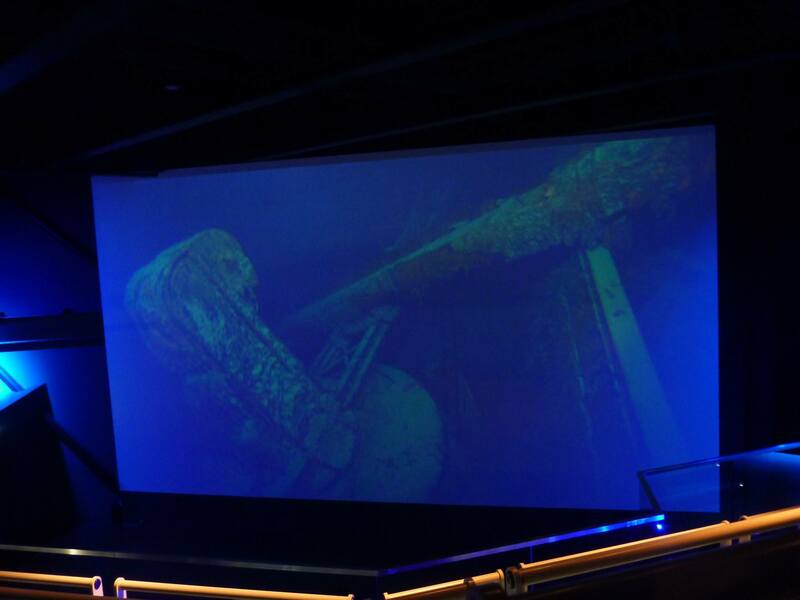 8.The wreck of the Titanic was discovered by deep sea explorers in 1985. 9.The Titanic sank in just 2 hours and 40 minutes after hitting the iceberg. 10.The Titanic had 2 sister ships – the RMS Olympic and the HMHS Britannic. Due to the fact that the Titanic was built in the docks of Belfast, the area has been named the Titanic Quarter. 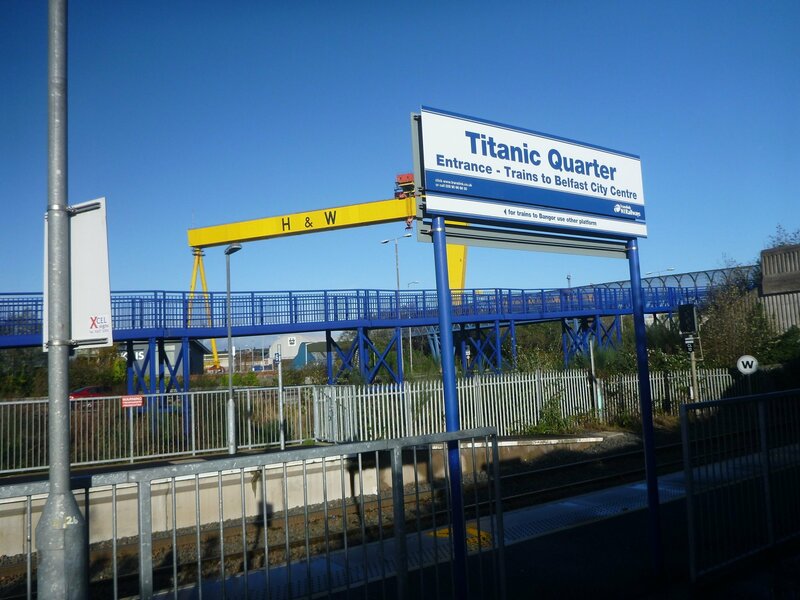 In this area you will find the dry dock where the Titanic was built, the famous yellow cranes of Harland and Wolff, the Odyssey Arena and the Titanic Centre itself. 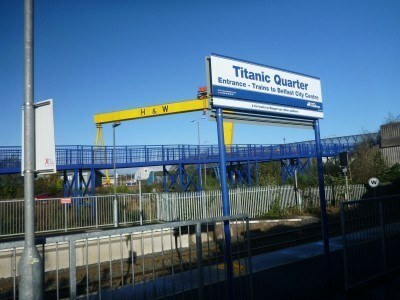 Using Northern Ireland railways, you can get the train to the station “Titanic Quarter”. It’s on the main line between Belfast and Bangor. It’s about a 10 minute walk from Titanic Quarter station to the Titanic Belfast centre. 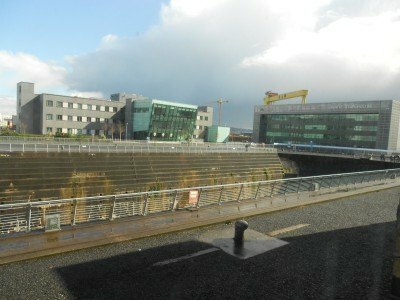 Other options including doing a bus tour of Belfast which includes a stop here, driving (there is a car park at the Titanic Centre) or using the Ulsterbus network (known as Metro) on the routes to the Odyssey Centre. 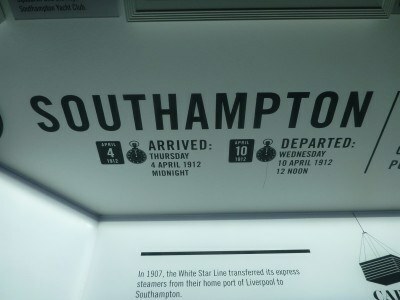 The full information on getting to the Titanic Centre is here. Once you arrive at this state of the art centre, head in and get your tickets from the kiosk on the right. Prices vary, but it’s currently £15.50 for an adult ticket, check prices here. 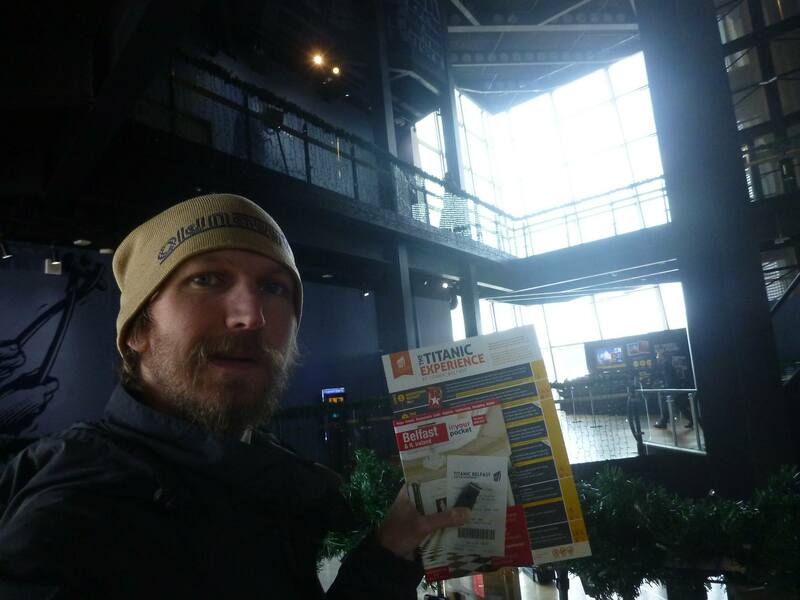 Once you have your tickets, head on up the escalator to Level 1 to start the tour through this historic ship. It’s arguably the world’s most famous ship. 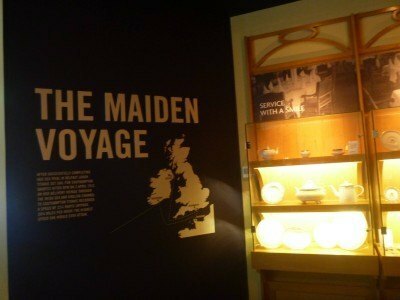 Here are the nine main parts of the tour through the Titanic Experience in Belfast. The tour starts in the best way it could – with an insight into the city of Belfast. 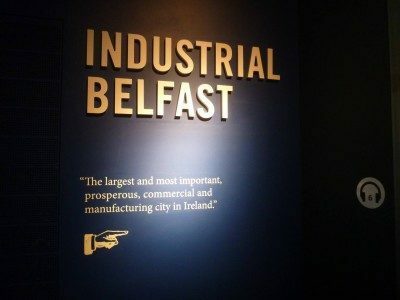 Once a large town, Belfast developed into a progressive industrial city by the early 20th century and was proudly the place where the Titanic was built. 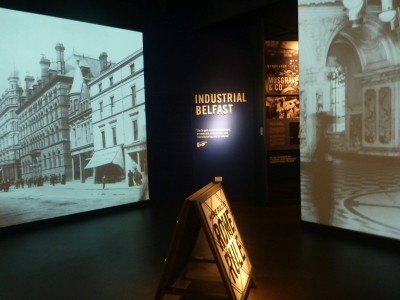 During this industrial boom and post potato famine, between 1851 and 1901, the population of Belfast went from 87,000 up to 350,000 which is staggering. You will learn a bit about Irish history here too – including the potato famine and the Home Rule issue, which eventually led to the split of Ireland in 1921 into two separate countries – Northern Ireland (6 of the 9 Ulster counties) and what would become the Irish Free State and later the Republic of Ireland (Eire). It’s a complicated enough history here politically, so to get a good understanding of this helps you realise current day Northern Ireland. 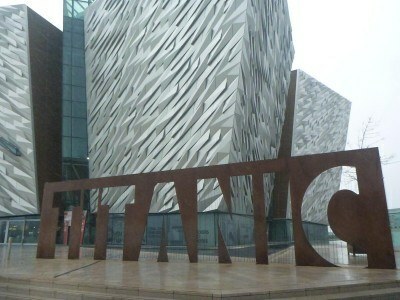 Historically, the Titanic was built in Belfast in 1911 in what was then simply Ireland. 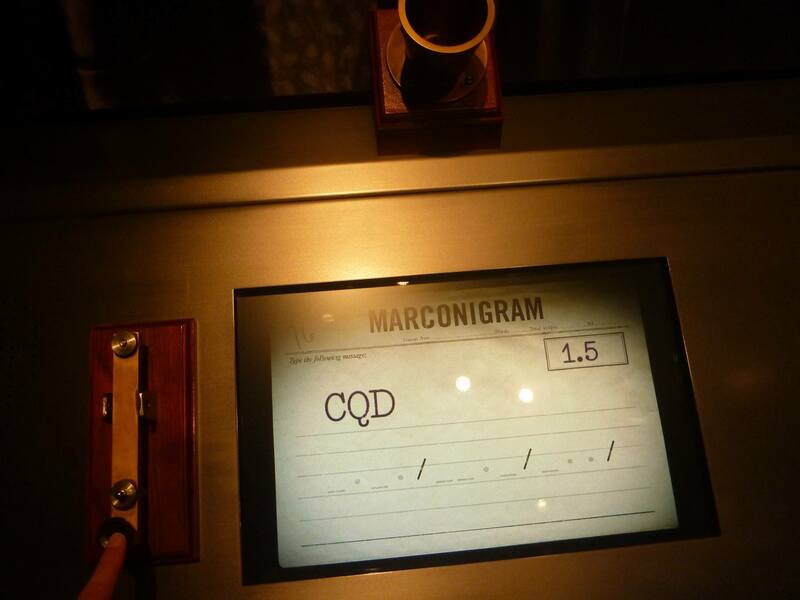 You can play with the Marconi gram device, similar to the one used on the Titanic for communication. In this section of the museum, you learn a lot more about the shipyard in Belfast. The shipyard is called Harland and Wolff. A ride on a mini train takes you on a classic 6 minute tour, detailing the working conditions and hard labouring builders of the Titanic. As an interesting fact, a football team called Harland and Wolff Welders currently play in Northern Ireland’s second tier of league football. 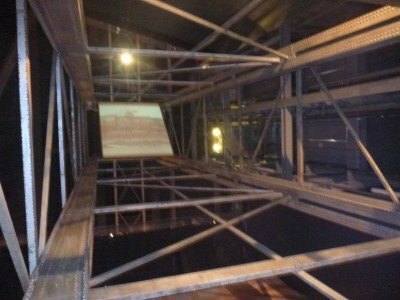 You also look down from the top of the Arrol Gantry in a mock version of part of the old shipyard. 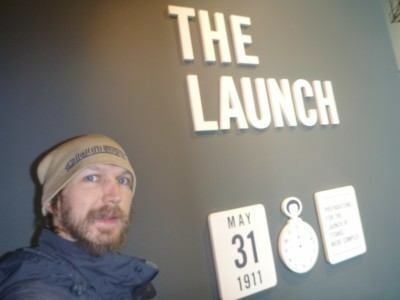 Now you understand the history of Belfast and the process of building the ship, it was time for the launch. On a busy day in Belfast city, an estimated 100,000 people gathered to wave goodbye to the ship. Back in those days of course, the magnitude of this achievement for the people of a city like Belfast was huge. It brought the people together. You watch a video documentary of the launch, from the day it left Belfast, to its visits to Southampton, Cherbourg and Queenstown on route to New York. A graphic 3D video takes you through what the ship would have looked like. Incredible reproduction of the ship’s interior and this is also in an area of the museum that has mock versions of the first, second and third class cabins. 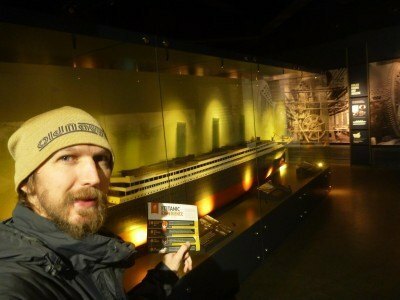 We learn, as expected that of course the Titanic didn’t sink on its first voyage. In fact it had many voyages to test it before it even attempted its first trans-Atlantic sailing. After leaving Belfast harbour, the ship stopped at Southampton in England, then Cherbourg in France, then Queenstown in Ireland (now Cobh in Republic of Ireland) before heading towards New York. 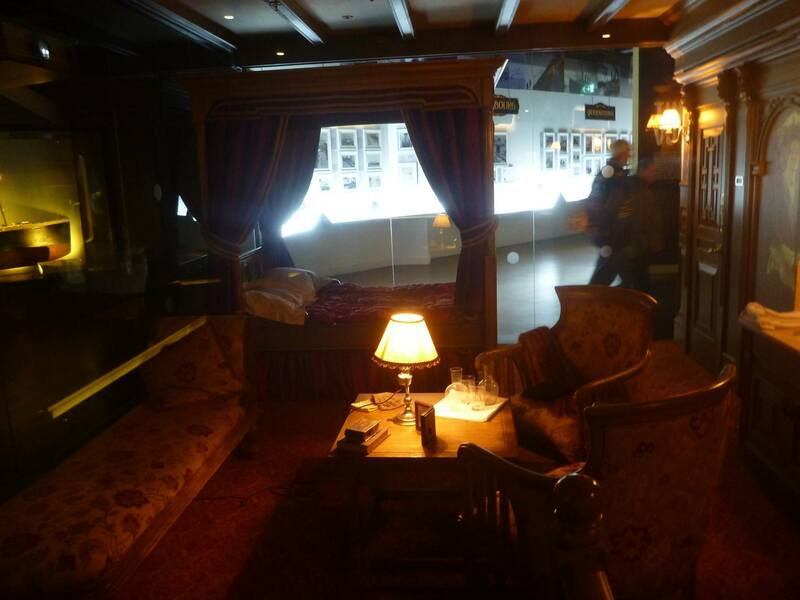 You walk through a mock display of the deck and the first class restaurant of the Titanic and through into a dark room. It is here that a timeline with exact times shows the sinking and the communication with other ships. It was the Carpathia that came to help and managed to rescue some of the survivors. However, within 2 hours and 40 minutes of hitting the iceberg, this massive vessel which has taken two years and thousands of hours of manual labour to construct, was under the Atlantic Ocean. Gone. 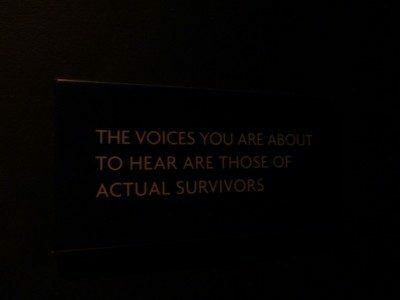 ON your walk through this dark part of the museum, you hear voices from real life Titanic survivors. 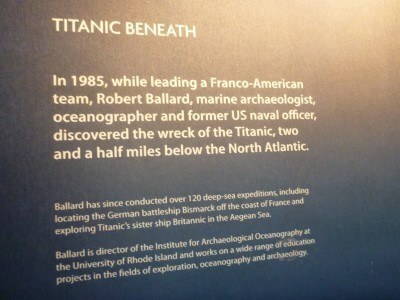 There is information on some that died and some that survived the sinking. The detail is fascinating. 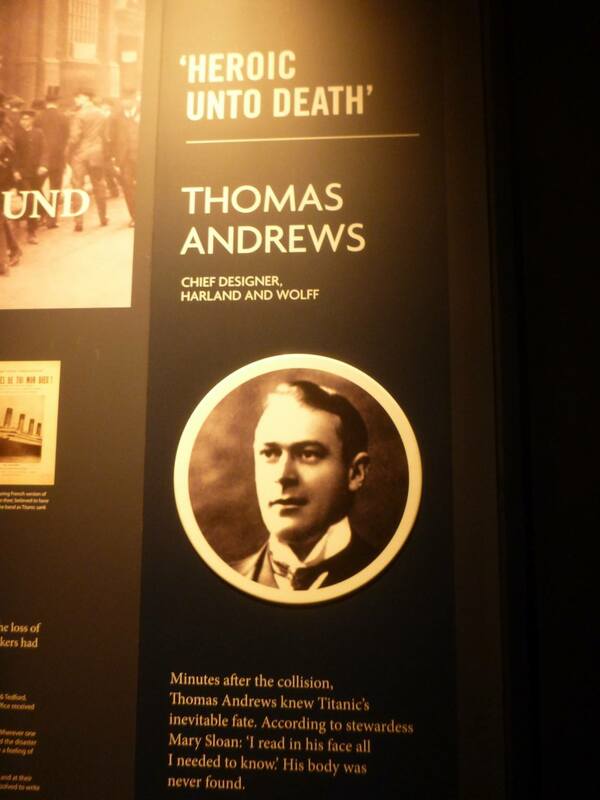 Sadly, Comber man Thomas Andrews who designed the ship, went down in the sinking and died. Without his body ever being found. The aftermath of the tragedy takes us through a room detailing the situation with lifeboats, how the disaster changed the seafaring industry forever and for local Northern Irish folk, also the chance to see if any of the passengers shared a name or a link to any of us. There is also a mock lifeboat here. 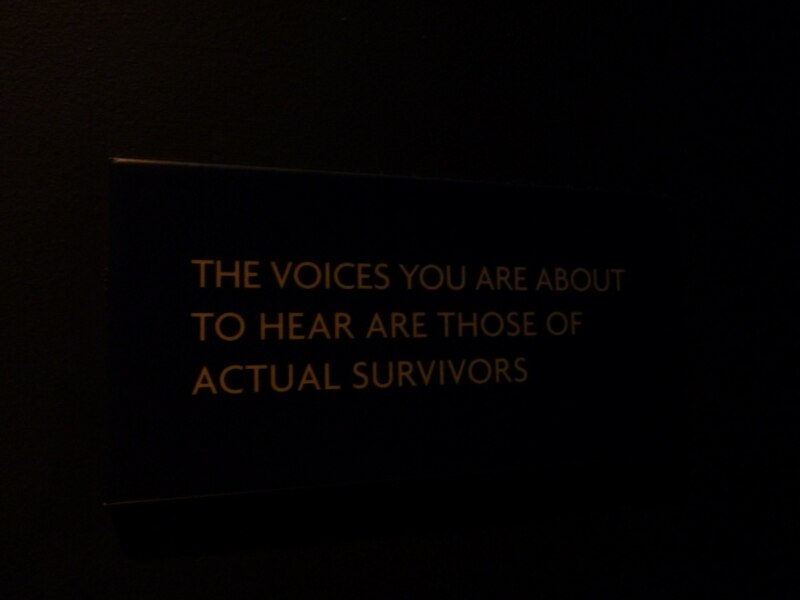 I liked this part of the tour as it makes you aware of the global impact of this tragedy. At the time, the Titanic was deemed “unsinkable” and the greatest vessel in the world. 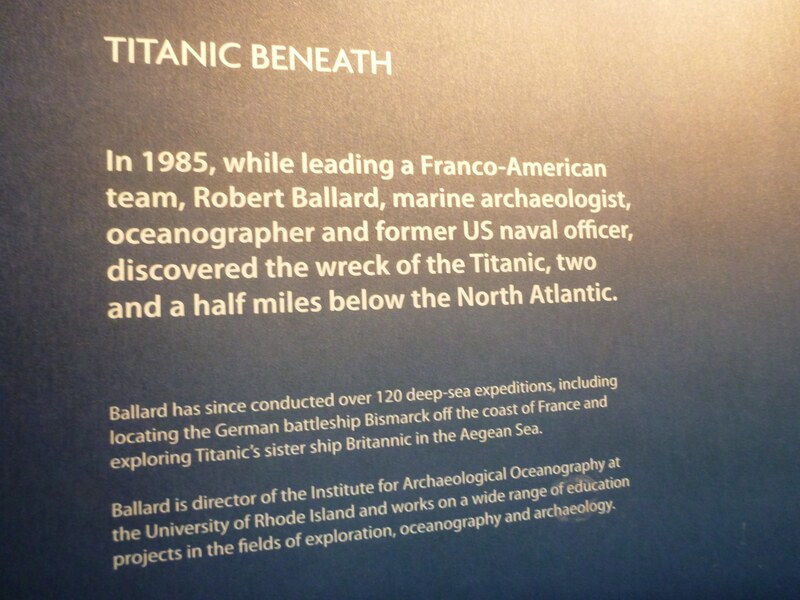 Yet it sank before it ever made it all the way across the Atlantic Ocean. It sank in 1912, and yet over 100 years on, it is still massive news. Everyone knows about it. The Titanic tragedy has influenced films and theatre for over 100 years. 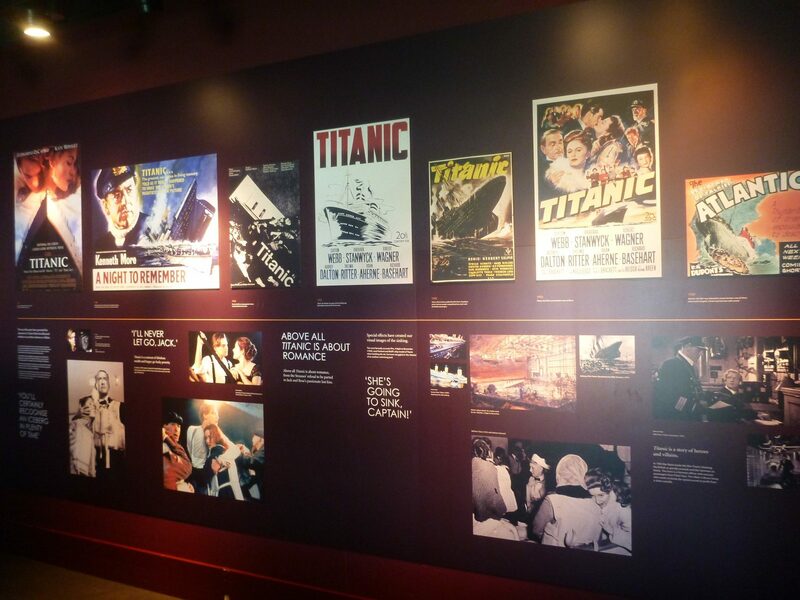 This room details all the events after the Titanic, the films that came out (Leonardo di Caprio of course), the impact that this story had on literature, film and theatre the world over. 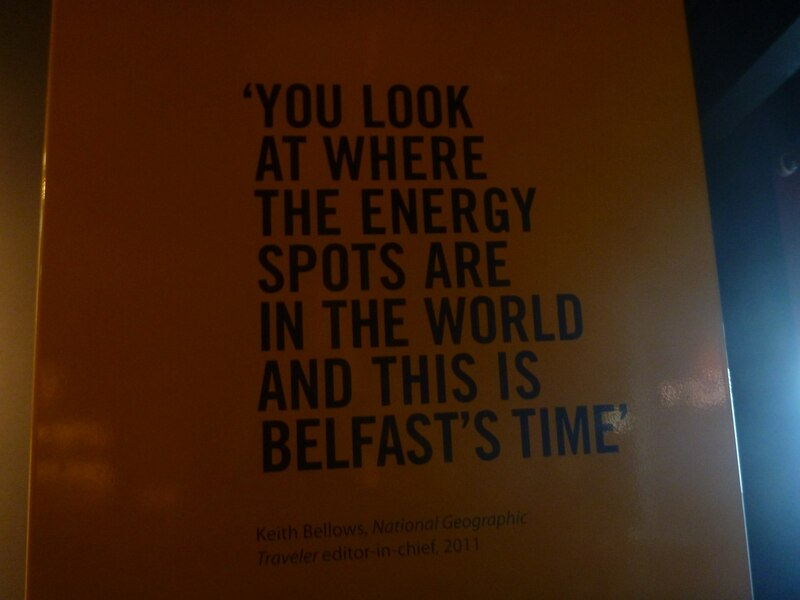 The impact it has had on Belfast, now a booming city once again. A city crying to be found. 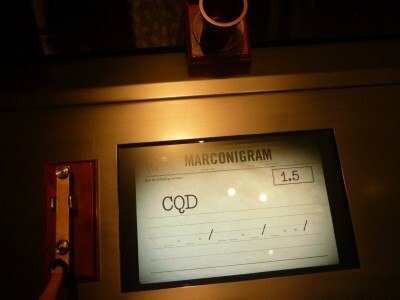 There is also an interactive Titanic quiz here. 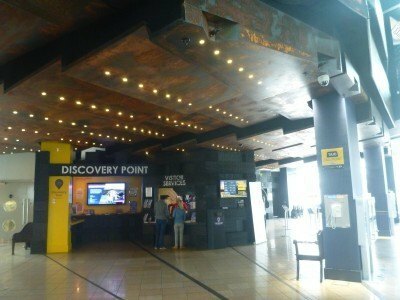 After this, we head down a floor and to an incredible cinema area. The tour has been quite emotional and moving, there’s a real sadness here. 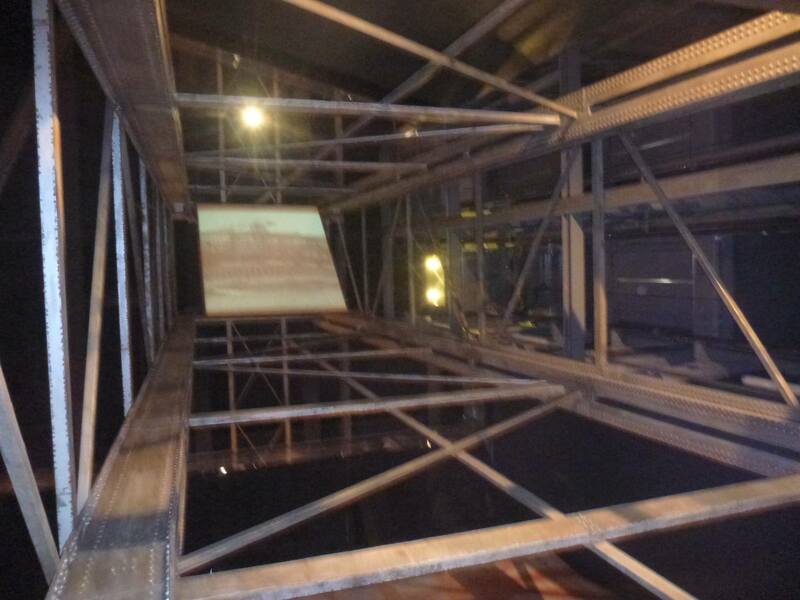 It is here that we can watch a video filmed a staggering 3,840 metres below the surface of the Atlantic. Having just about survived a 12 metre diving course, I take my hats off and have so much respect for these explorers! Back in 1985 they discovered the Titanic and here, you can watch a video of what it looks like right now, deep down in the sea. 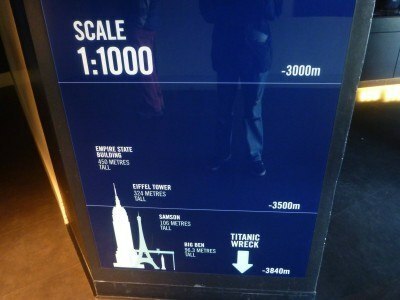 After watching the video, there is a further walk through a Titanic Beneath section and a glass floor where you can imagine you are deep down in the sea above the Titanic. The entire experience here is incredible. It is much more enthralling, entertaining, informative and surprising than you could imagine. Every tourist who goes to Belfast or Northern Ireland needs to visit the Titanic Centre. Trust me on this one – it is one of the best museums I’ve ever been to, and I’d estimate I’ve been to over 100 around the world on my travels. 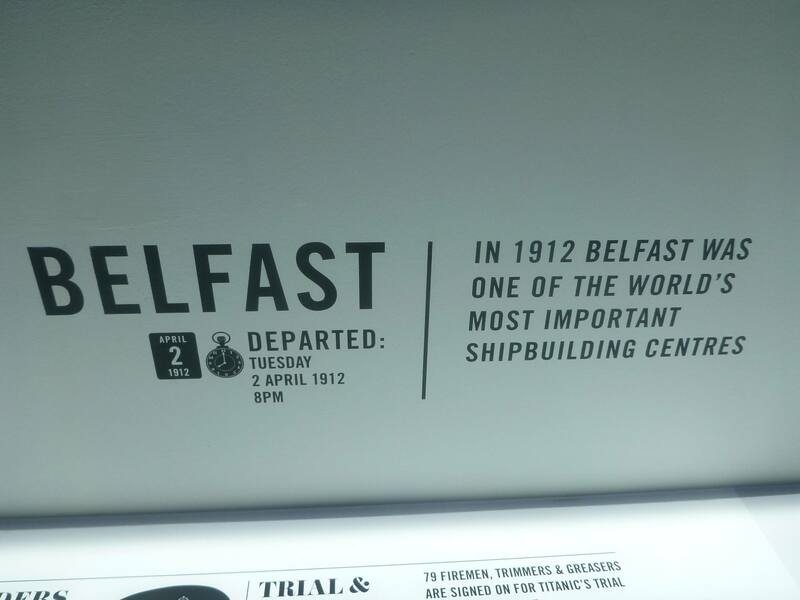 It makes me proud that in Northern Ireland and in Belfast city we have a centre this good dedicated to the tragedy of the world’s most famous ship. I also really enjoyed touring it on my own for once, just walking round at my own leisure, not chatting to anybody else, just enjoying it all and reading as much information as I could. I loved it. 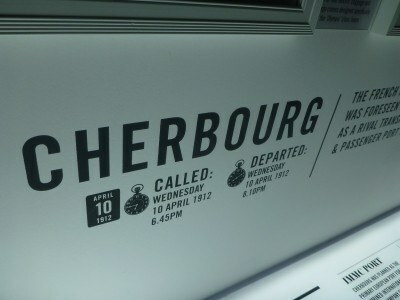 I hope you can all go and visit! 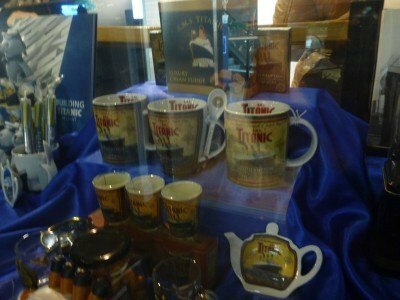 I was really impressed by the Titanic souvenir shop – the range of cool, unique souvenirs is huge. From T-shirts to wooden postcards to crockery to books. 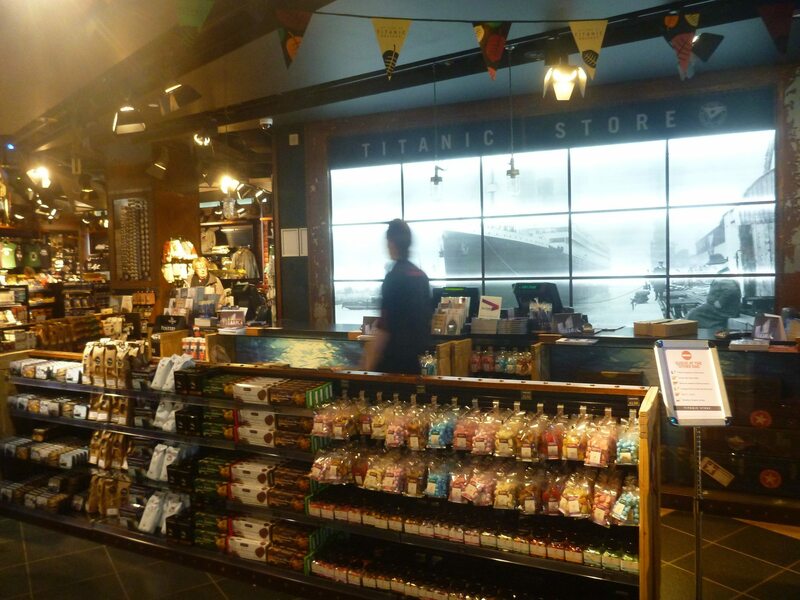 The shop is huge and you will find whatever souvenir you need for your friends and family here. I just had to try the Titanic Beer! I’m a sucker for these types of things and where better to sip an ice (berg) cold Titanic Beer than in the place where the ship was built. 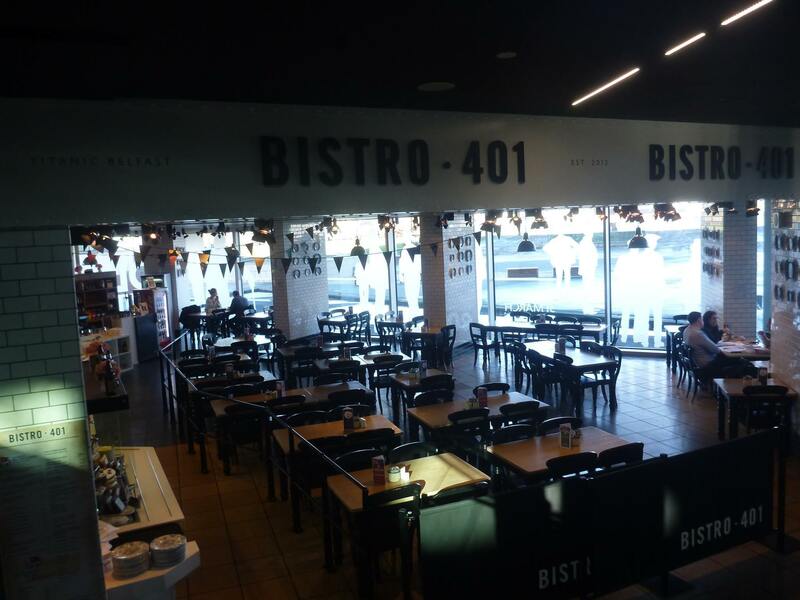 Local and international drinks are also available of course in the bars on site – there is Bistro 401 and the Galley. 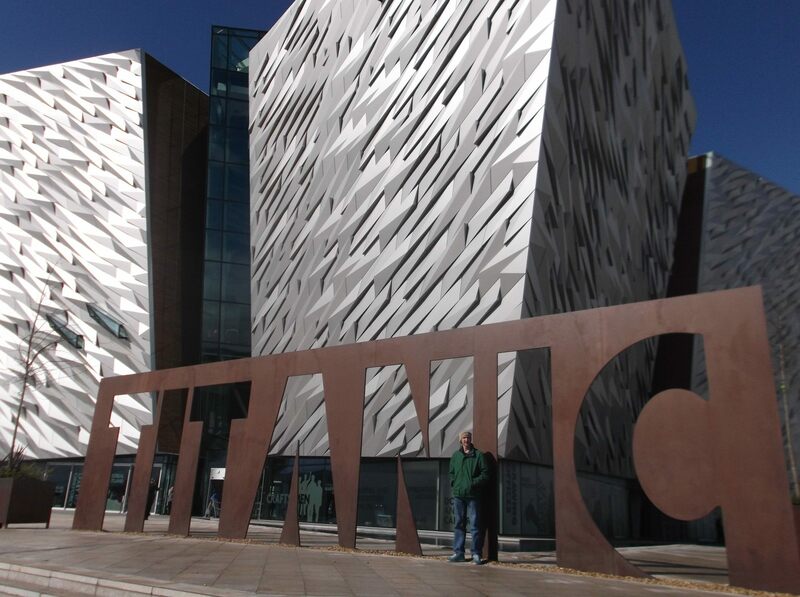 There’s quite a lot to take in here in 2,400 words but there are other places to visit in the Titanic Quarter. 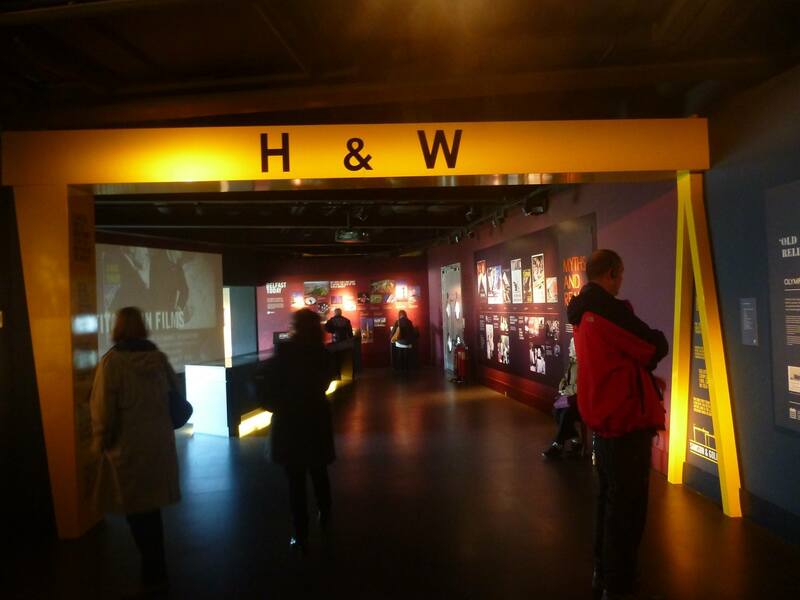 You can visit the original Dry Dock of the Titanic which also has a visitor centre, you can see the SS Nomadic, which is the only White Star ship in the world that still exists, as well as admiring the cranes of Harland of Wolff and admiring Belfast harbour. Also on a final note, don’t just take my word for it. The Titanic Belfast museum and centre has been awarded 5 stars as a visitor attraction. 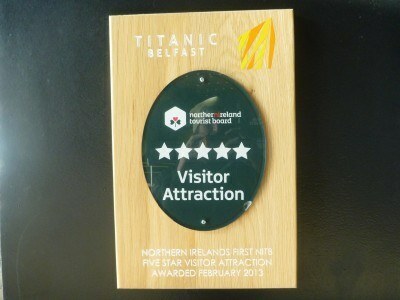 It was the first Five Star visitor attraction in Northern Ireland and it’s easy to see why! 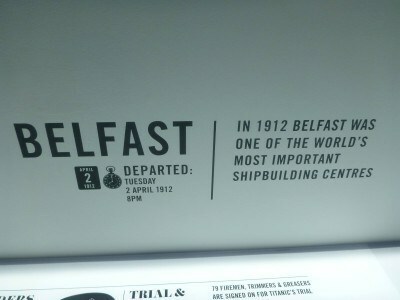 This entry was posted in Belfast, Boats, Europe, Northern Ireland, Titanic, Transport. Bookmark the permalink. Absolutely tragic story that really should not have happened (i.e. the thousands of deaths that occurred due to the lack of lifeboats/half empty lifeboats, the arrogant thinking that the Titanic was the “unsinkable ship,” etc). But what an impressive feat in creating such a massive luxury cruise liner in the early 20th Century, though!